Separate dough into 8 triangles. Place 1 piece of ham down center of each triangle, folding to fit. 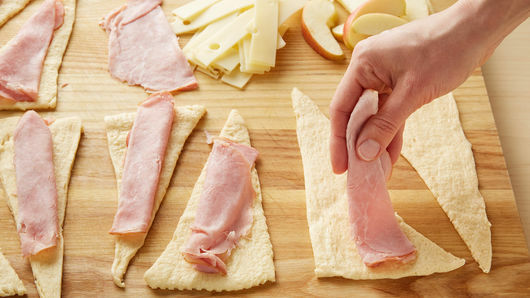 Place 2 cheese strips and 1 apple slice on widest end of each triangle. Roll up, starting at widest end to pointed end. Place rolls point side down on cookie sheet. Bake 12 to 15 minutes or until golden brown. Remove from cookie sheet to serving plate. Serve warm with honey mustard. 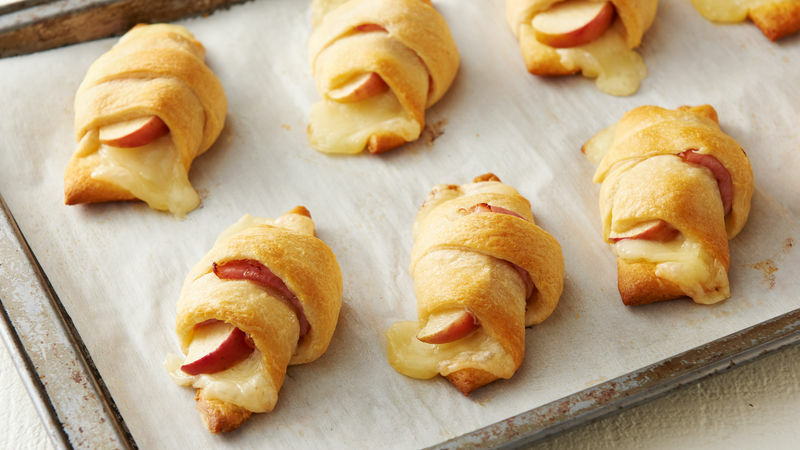 Shape these crescents up to 1 hour ahead of time; cover with plastic wrap, and refrigerate. Add a few minutes to the bake time. 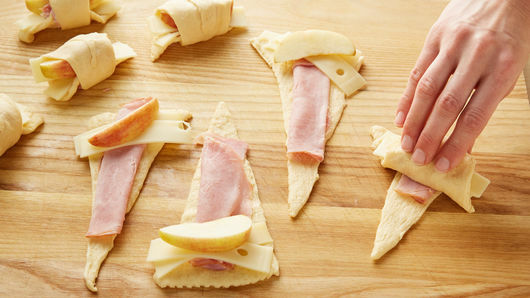 Use any of your favorite apples in these ham and cheese roll-ups.